After the success of Half-Breed, Cher, for her final record under MCA, again chose Snuff Garrett and Al Capps to produce. During that same year, she divorced her first husband Sonny Bono, dissolving the Sonny & Cher couple. This ended their professional musical ties and television show for a while. Due to the success of previous albums produced by Garrett, Dark Lady followed the same narrative ballad style. She attracted many young fans during this period of her career for her style of glamour pop, and the album shows also what Cher could do back in the mid-70s, at the height of her popularity. 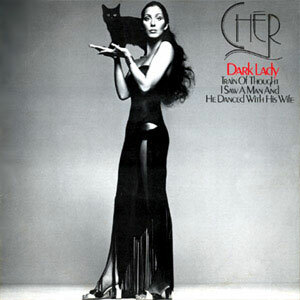 Dark Lady was also the last studio album. MCA released Greatest Hits with the letter E accented in Ch�r on the album cover.